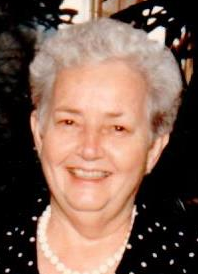 Gwendolyn Morrissey of Newburgh, NY, a longtime resident of the area, passed away Tuesday November 27, 2018. She was 87. The daughter of the late Victor and Velma Camp Collier, she was born November 30, 1930 in Haynesville, Louisiana. Gwen last worked in the office of Assemblyman Tom Kirwan where she enjoyed working with Tom and helping people who contacted the office. For over 20 years she was a member of the Town of Newburgh Republican Committee and in the 1980’s she was a candidate for the County Legislature.She was an avid cook and baker who loved to try new recipes. She was the widow of Vincent Morrissey. Survivors include her Son Clay Morrissey of Newburgh, Daughter Sheri Morrissey and husband Eric Petty of Walden, Sister-In-Law Concha Collier, Loving Granddog Kaydee, Nieces and nephews. She was also predeceased by her brothers Perry & Frank. Visitation will be Saturday, December 1, 11:00 AM to 1:00 PM at Millspaugh Funeral Home, 22 Bank St., Walden, NY 12586. A funeral service will follow at the funeral home.